Camp for €16,- a night at Koawa Camping Lou Comtadou in low season with CampingCard ACSI. 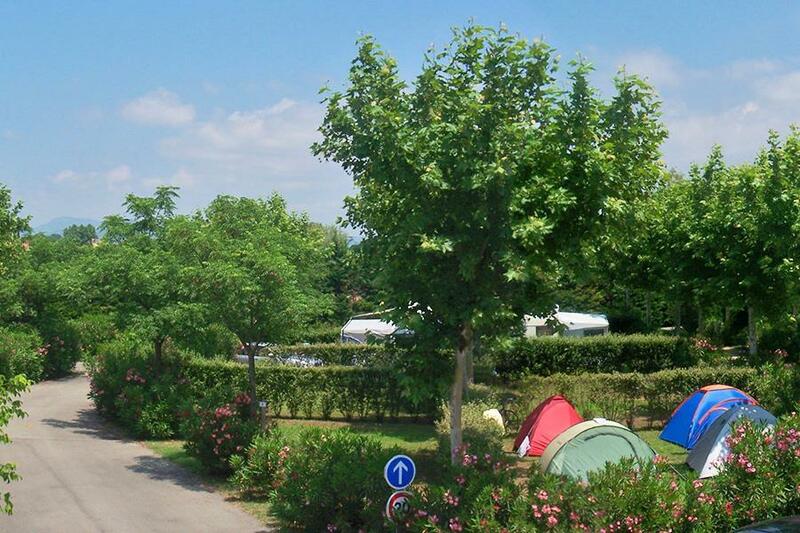 Koawa Camping Lou Comtadou, located in Carpentras (Vaucluse), is a campsite with 99 touring pitches and 19 year round pitches. With your CampingCard ACSI you can camp on one of the pitches during the following periods: 30-03-2019 - 06-07-2019 and 26-08-2019 - 27-10-2019. At this campsite you can not only use your CampingCard ACSI for inexpensive camping, you can also use your ACSI Club ID (as an alternative ID). A campsite with lovely marked-out pitches and plenty of shade. Good amenities and simple restaurant. Bus stop next to the site. Close to town centre with a large market on Fridays. Good paved roads. Site within walking distance of Carpentras bit quiet. Large pitches all hedged off. Next to local sports centre. Camping spaces were huge and private.We arrived at the end of August went in the fabulous pool but unfortunately it closed on the last day of August which was ashame as the weather was great in September. Carpentras was easy to walk to with a great market and restaurants. Would you like to book Koawa Camping Lou Comtadou or request more information? You can do both using the information below. Follow ring road before Carpentras, then direction St. Didier. Right at second lights and follow signs. Left at sports complex on leaving the town. CampingCard ACSI will send your information request to "Koawa Camping Lou Comtadou".